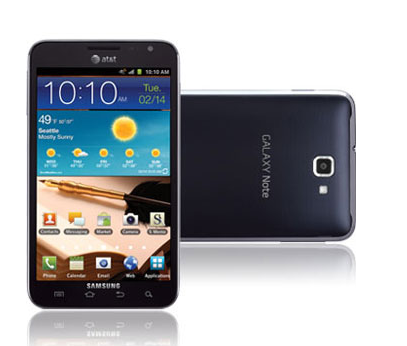 AT&T Galaxy users shall be rejoicing as of today, because Samsung announced that both the Galaxy Note and the Galaxy S II Skyrocket will be receiving Android 4.0 Ice Cream Sandwich. Now, ICS isn’t even the newest version of Android anymore, and the devices will only be getting 4.0.4 and won’t get the upgrade to the newest version of TouchWiz, but it’s still ICS. Android 4.0 will bring a slew of improvements from lessened visual lag to ICS-only apps and app updates. The Note and the GSII Skyrocket have been some of AT&T’s best devices to offer for quite a while, and really have only been best by the HTC One X and of course, the Galaxy S III. The Note will be receiving a better deal from this upgrade than the Skyrocket though, with its “premium suite” of apps. A specialized S Memo and S Note app will be coming, both updated to newer versions, My Story will be receiving an upgrade as well. It’s good to see Samsung still supporting these devices after the launch of their new flagship phone, and users can grab the update today via the Samsung Kies desktop application.